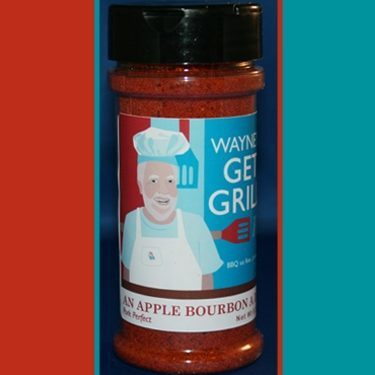 Our FABULOUS line of Wayne’s BBQ Grilling Rubs are now available online. Select from any of our 8 flavors in order to create a customized 3 piece set perfect for your next grilling experience. Our entire 8 piece rub collection. 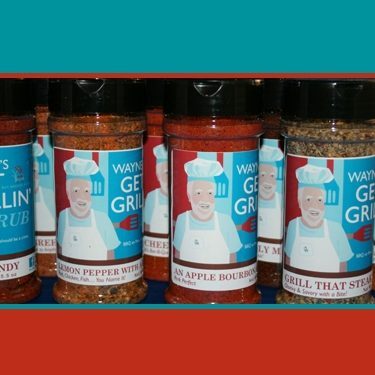 The complete set includes one bottle of each of our fantastic grilling rubs. This flavor gives your meats and veggies the extra kick you are looking for with the smokiness of the Chipotle peppers. It’s yummy on ribs too. Our newest flavor, Jolt of Joe, is the perfect blend of rich coffee combined with sweetness and a little kick. Great for pork, beef, veal or venison. Think lemon pepper meets Cajun country. Great on any seafood or chicken dish when you need a hint of citrus, but want a little spice. This is by far our personal favorite. When we say “lick the plate” we mean it. We put it on everything except the cereal. Ideal for adding extra smoke flavor to pork ribs, Boston Butts as well as chicken. Try this flavor for stovetop grilling when the weather is too nasty to use your smoker.